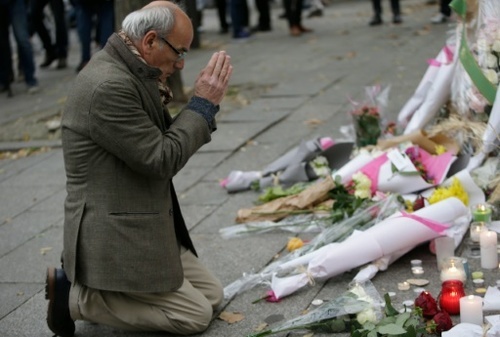 15:13 GMT - London's Metropolitan Police Commissioner has sent his condolences and offered his support to Paris. "London and Paris are linked as two of the world's strongest capital cities and we stand prepared to help in any way," says Bernard Hogan-Howe. "We have developed appropriate tactics to deal with a firearms attack in London, but we will, of course, urgently review our approach in the light of last night's act of terrorism in Paris." 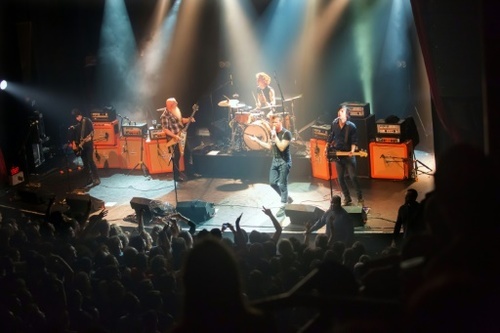 15:21 GMT - "Eagles of Death Metal", the California rockers whose concert in Paris turned into a massacre, are cutting short a European tour to return home, promoters say. "The group is going to return," an official at promoters Nous Productions tells AFP. The "Deftones", another California band that had been present at the Bataclan concert hall, will also return home, the promoter says. Mary Lou Dorio, the drummer's mother, told The Washington Post that the band was able to escape but that some members of their crew had not yet been found. 15:32 GMT - Far-right leader Marine Le Pen tweets that France must regain control of its borders definitively. 15:38 GMT - More on the reaction to the attacks by Palestinian groups. Dr Bassem Naim, head of the Council of International Relations for Hamas, tells AFP the group condemns "the acts of aggression and barbarity", while Islamic Jihad condemns "a crime against innocents". 15:46 GMT - Germany's interior minister is pleading for people not to link the terror attacks to the record influx of asylum seekers into Europe. "I would like to make this urgent plea to avoid drawing such swift links to the situation surrounding refugees," Thomas de Maiziere says, noting that there have already been "appalling scales of attacks against asylum seekers and asylum seeker shelters". Germany is expecting up to one million asylum seekers this year, but the influx has also exposed faultlines in the country, with a spate of arson attacks on refugee shelters. 15:50 GMT - A France-bound plane was evacuated before departing from Amsterdam airport after "threats" against it were posted on Twitter, Dutch police say. "We always take threats very seriously and we decided here to evacuate the passengers and to search the aircraft," police spokesman Dennis Muller tells AFP. The Dutch news agency ANP said it was flight AF1741 -- an Air France flight that was due to take off for Paris at 2:45 pm (1345 GMT). 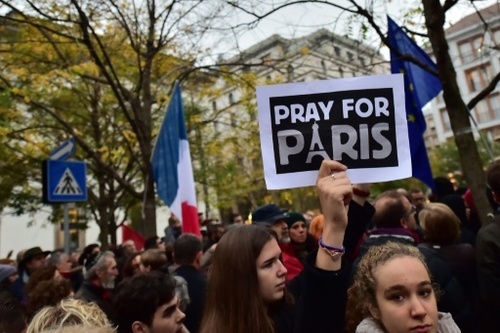 15:53 GMT - Analysts say the Islamic State group's ability to carry out the deadly Paris attacks that it has claimed reveals the growing sophistication and reach of the global jihadist network. "The push to France likely represents the next stage of IS," says Clint Watts, a senior fellow at the Foreign Policy Research Institute. "We'll see them increasingly move away from conventional and insurgent operations in Iraq and Syria and more towards terrorist attacks in their extended network," he says. 16:06 GMT - Belgian police have raided a Brussels neighbourhood, public television RTBF reports. 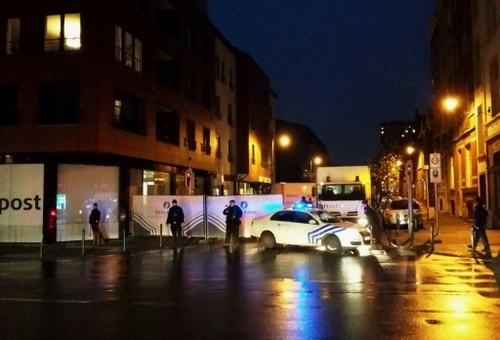 The network quoted an unidentified source as saying up to three raids are being carried out in the Molenbeek district in connection with the Paris attacks. 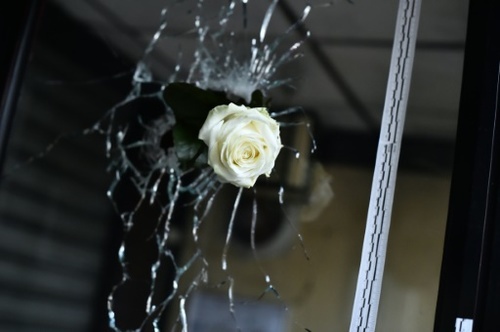 16:14 GMT - Since the January attack on the Paris offices of satirical weekly Charlie Hebdo, in which more than a dozen people were killed, French police have detained several individuals with alleged ties to IS. The string of incidents, according to jihadism analyst Aymenn al-Tamimi, indicate that "it's questionable to call (the Paris attack) a shift in strategy." But it does demonstrate a shift in success rates, Tamimi says. "It is certainly an unprecedented attack for them in terms of results in Europe. 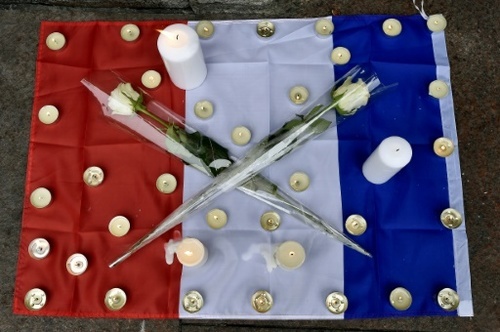 It shows they have sophisticated networks in Europe, not mere lone-wolf fan boys," he adds. 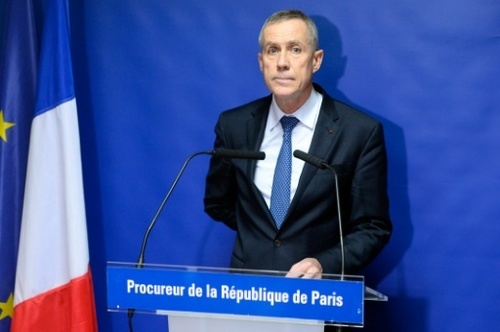 16:34 GMT - A Greek minister says a Syrian passport found by police at the scene of the mass shooting in the Paris concert hall belonged to an asylum seeker who registered on a Greek island in October. "We confirm that the Syrian passport holder came through the Greek island of Leros on October 3 where he was registered under EU rules," says a statement issued by Nikos Toskas, the minister for citizen protection. 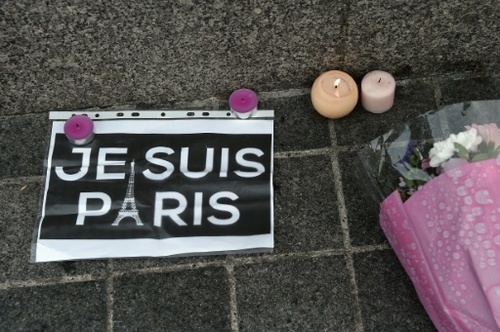 It has not been confirmed that the passport belonged to one of the attackers, but French police are investigating. 16:49 GMT - British police say a 41-year-old Frenchman was arrested at Gatwick airport with what appeared to be a firearm. "Police were called at around 9.30 am (0930 GMT) following suspicious actions by a man who discarded an item in a bin at the airport," Sussex Police say in a statement. "A 41-year-old man from Vendome in (central) France was arrested at the scene at the time of the report on suspicion of firearms offences," the statement says. "Personal items and what appears to be a firearm were recovered and have been removed for forensic examination. However, the viability of the weapon has yet to be established," it adds. 17:29 GMT - In a statement from Pentagon Press Secretary Peter Cook, the US military confirms an airstrike in Libya on November 13, 2015 against Abu Nabil, aka Wissam Najm Abd Zayd al Zubaydi, an Iraqi national who was a longtime al Qaeda operative and the senior ISIL leader in Libya. The statement says this is the first US strike against an ISIL leader in Libya. 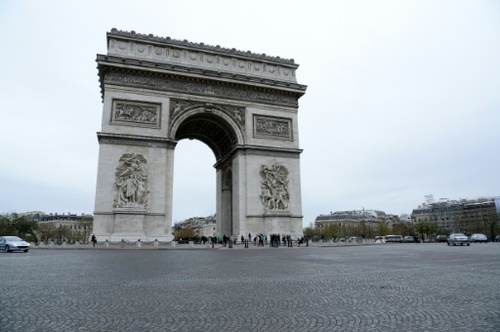 It also says the operation was authorized and initiated prior to the terrorist attack in Paris. 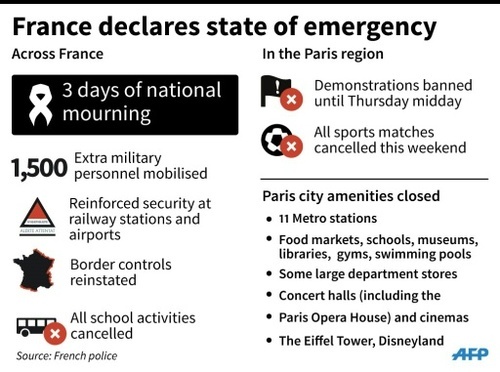 17:48 GMT - The mayor of Paris Anne Hidalgo says that the Eiffel Tower is "in mourning." 17:58 GMT - Belgian Justice Minister Koen Geens tells RTBF television that several arrests "can be seen in connection with a grey Polo car rented in Belgium" found near the Bataclan concert hall in Paris. 17:59 GMT - The US Democratic candidates are scheduled to debate in Des Moines, Iowa at 0200 GMT Sunday. Former Secretary of State Hillary Clinton, self-described democratic socialist Senator Sanders and former Maryland governor Martin O'Malley will be on stage. Following the terrorist attacks in France, moderators will probe the candidates about national security and fighting extremism in the Middle East. "Tonight's attacks in Paris require important questions for the candidates," executive editor Steve Capus of debate broadcaster CBS News says on Twitter. Sanders is likely to criticise Clinton's 2002 Senate vote to authorise the Iraq war. Sanders voted against authorisation. Bringing the debate forward to today's crises, Clinton has said she favours a no-fly zone over parts of Syria. Sanders opposes such a plan, arguing last month that it could precipitate "a never-ending US entanglement" in the region.